This is the first weekend in a long time I didn't have to pack and it felt amazing! We officially sold our house on Thursday and moved into my parents. My Dad's birthday is this week and his favorite dessert is apple pie. My Mom is the queen of baking, however since they just got home from vacation I thought I would help her out. 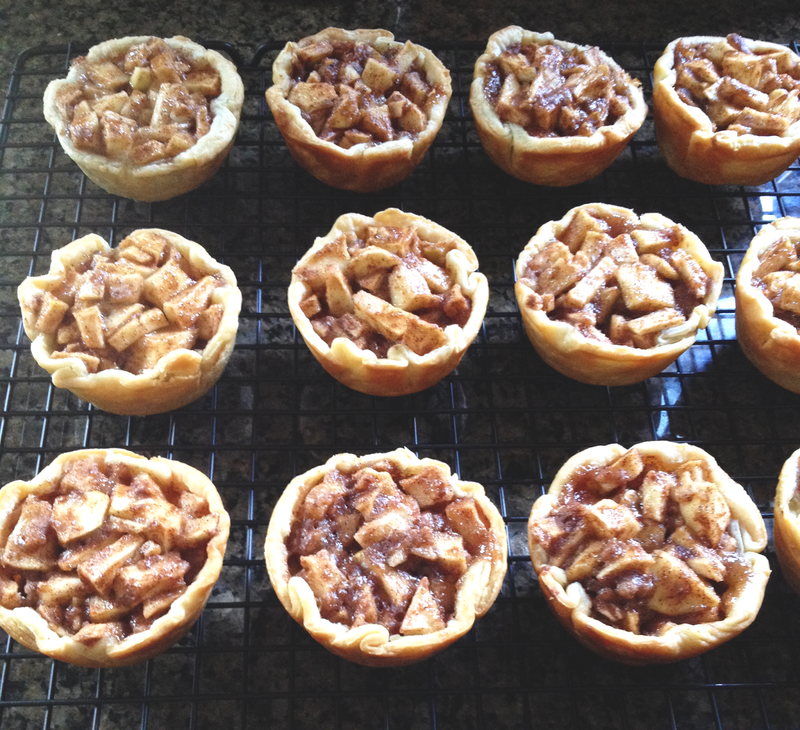 I of course turned to Pinterest and found a recipe for mini apple pies and altered it a little. This yummy mini apple pie will have a scoop of vanilla ice cream on top. In my case, since I don't eat dairy, I'll use SO Delicious Vanilla Bean. I used 2 ungreased cupcake trays, you can also use muffin trays or mini cupcake trays depending on what size you want to make your pies. 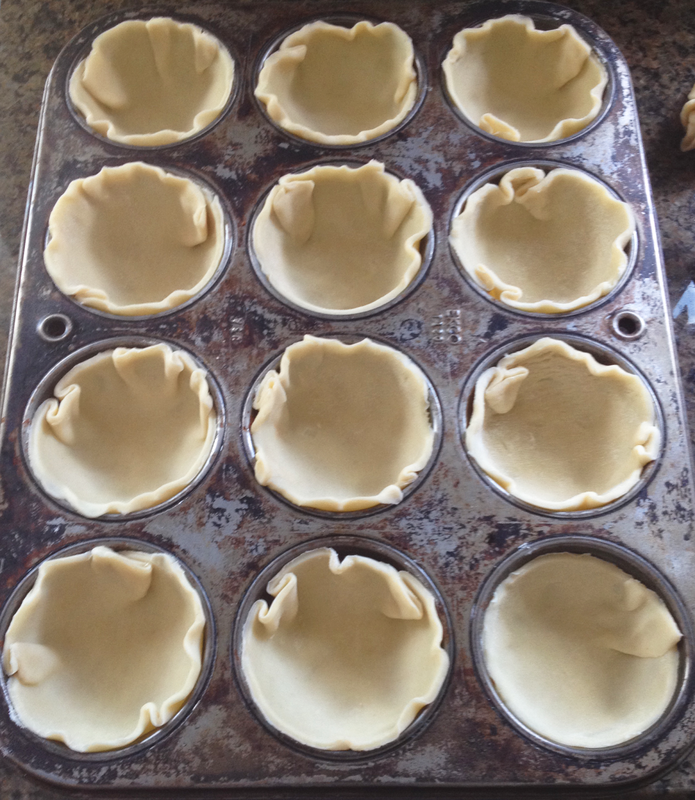 To make the perfect circle, I cut the pie crust using a cookie cutter. You can also use the top of any glass, just make sure the top measures around 4 inches wide. 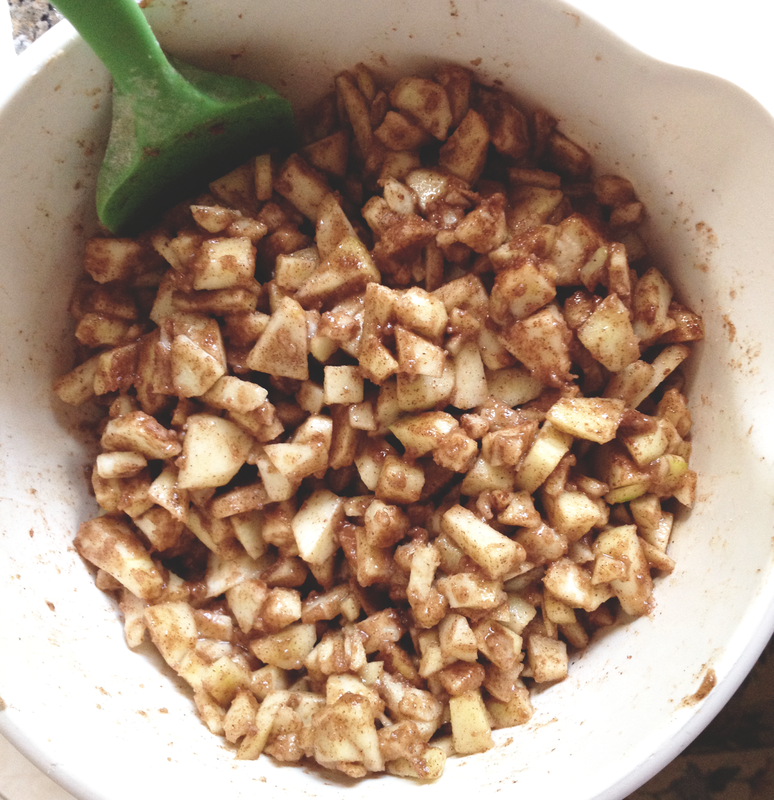 After you peel and cut your apples, mix in the flour, sugar, cinnamon, and nutmeg. 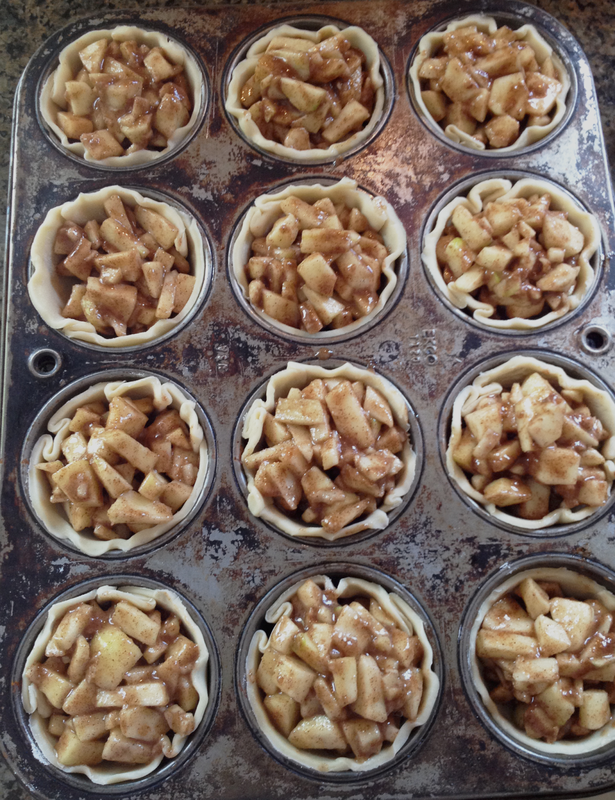 All thats left is to fill the pie crusts and drizzle on some melted butter. If you have leftover crust you can lay the pieces on top, but 'm not a huge fan of crust so I left this part out. Bake at 400 for around 15-18 minutes. I set my timer for 12 minutes then kept an eye on the crust. Once the crust turns golden brown take them out of the oven and let them sit for at least 15 minutes. To remove, hold the tray at an angle and slide a knife around the crust. 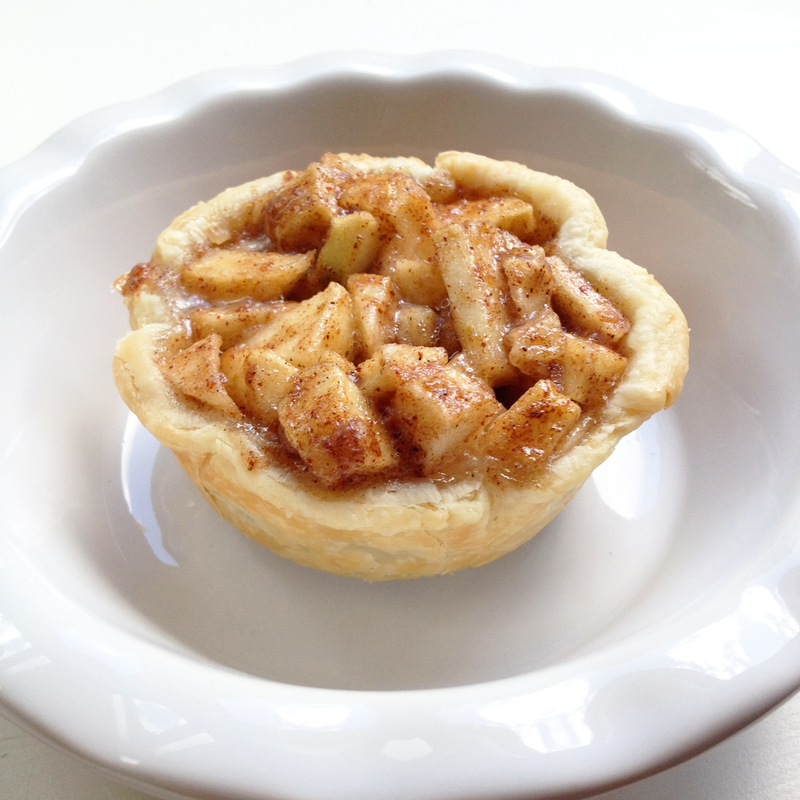 Enjoy these mini apple pies on one of your cheat days!